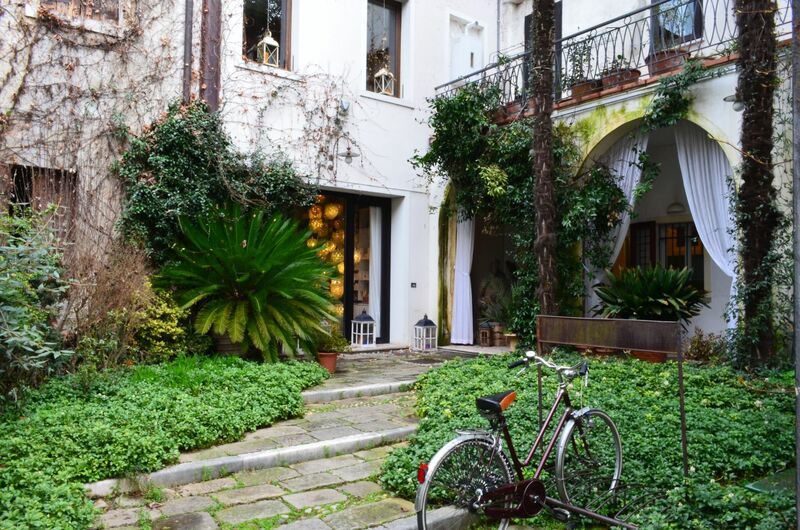 Just a hop and a skip away from Venice, this small town is a great place for a short layover or a budget way into the area. We were looking for a way to Venice to catch another flight and noticed WizzAir is running really cheap flights to Treviso. The city was just a dot on a map as far as we knew but the second the information lady at the airport pulled out a map of the city centre, we were sold. From the airport we took a bus to the train station for 3 eur, had a wonderful espresso and started the walking tour. 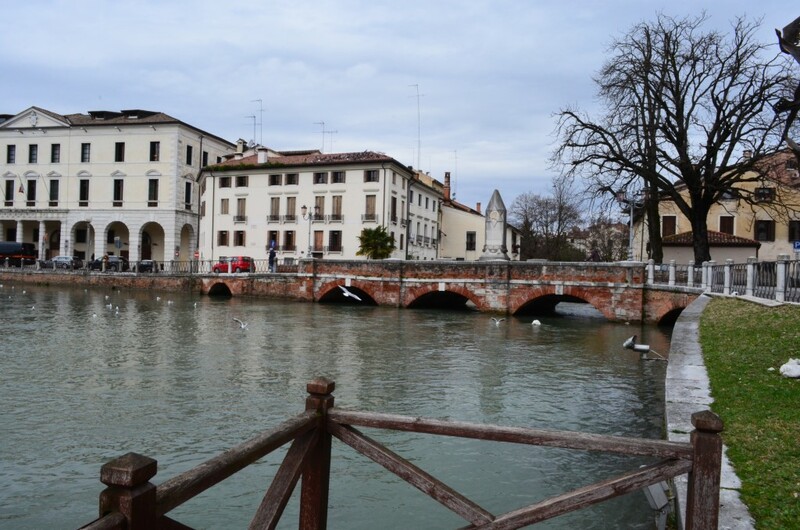 Treviso has everything you can wish for in an Italian city: old structures, elegant people and cute little corner shops where you can grab a coffee or some wine, depending on your mood. 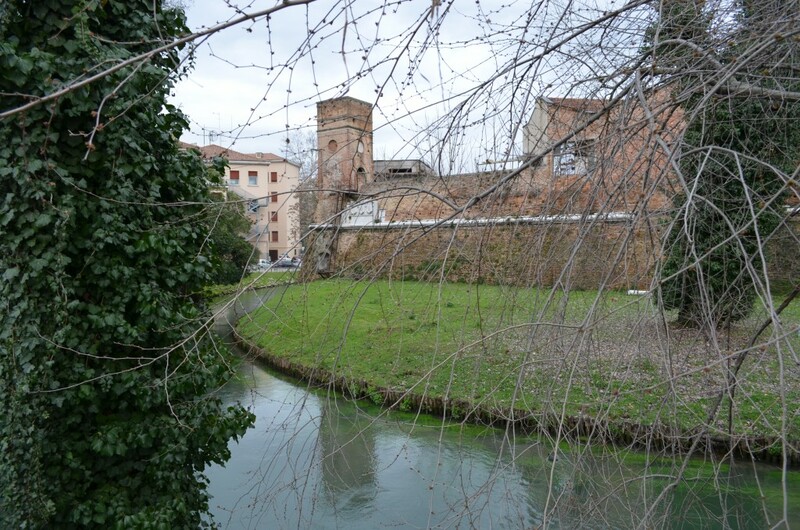 Just outside the train station you can catch a glimpse of the old city wall guarded by a slow moving river. 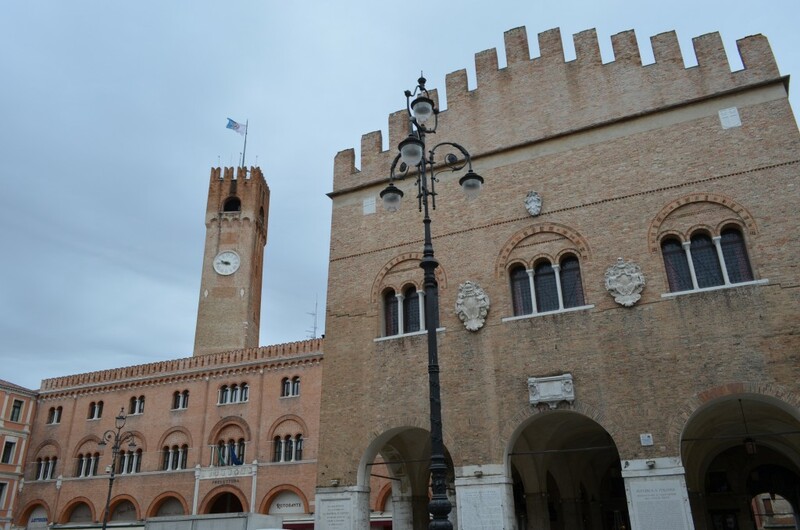 Walk a little further and you will reach the Piazza dei Signori, the civic centre of Treviso. 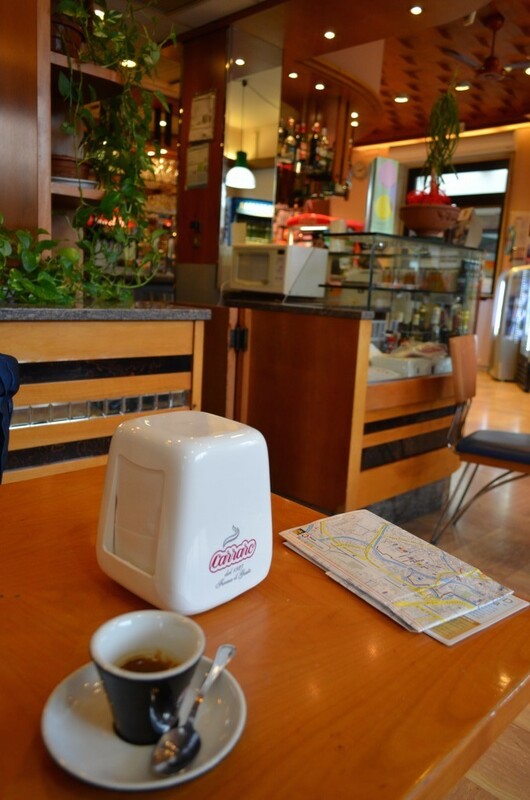 The square is packed with small coffee shops and the streets radiate outwards from this square till they reach the city walls. Just a couple more steps further there is the Duomo di Treviso or Cattedrale di San Pietro Apostolo. 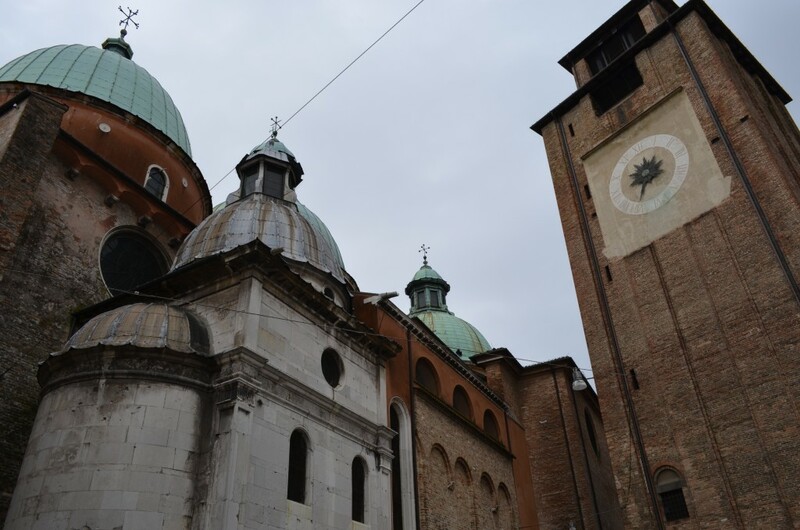 The church currently houses a painting by artist Titian and apparently, the Bell tower is unfinished because otherwise it would surpass the Venice’s St. Mark Basilica and the Venetians simply could not allow this to happen. At every street corner you can find fresh produce stalls as well as fish markets, unfortunately closed early in the morning when we were there. 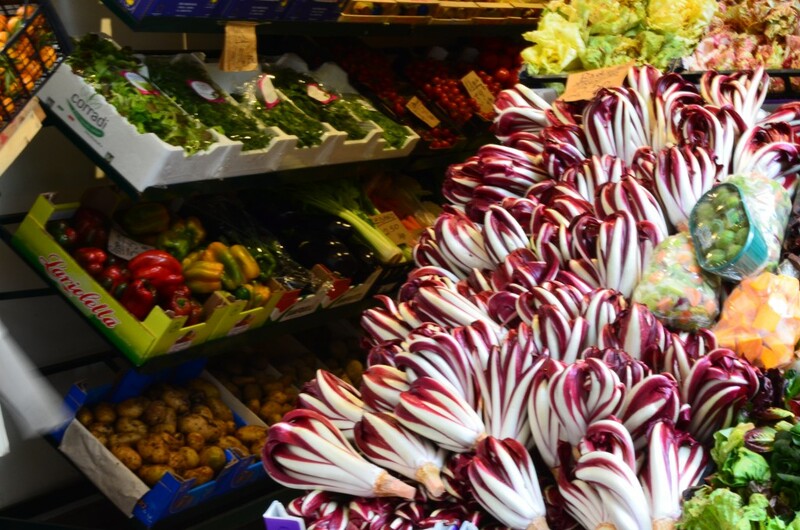 The strange vegetable below is the famous Treviso Red Chicory or radicchio, usually eaten grilled with olive oil. Care for a little canal hopping? 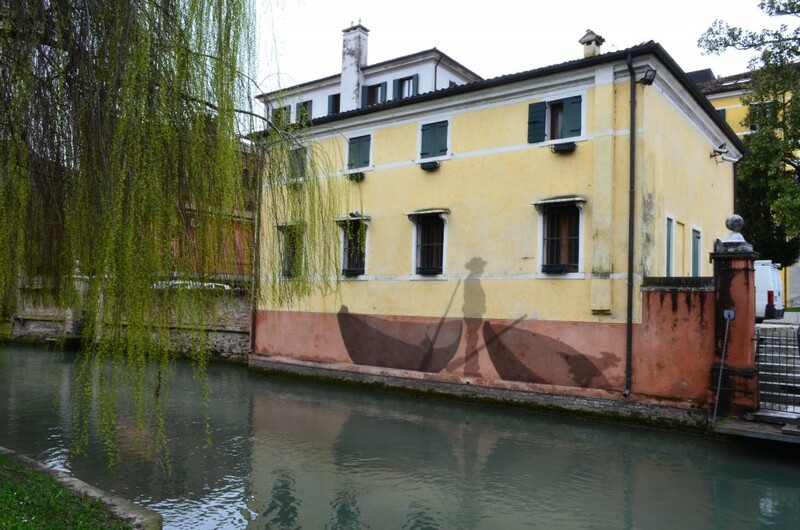 Buranelli canal is perfect for a quiet stroll and to peek into the private lives of those living on the river side. 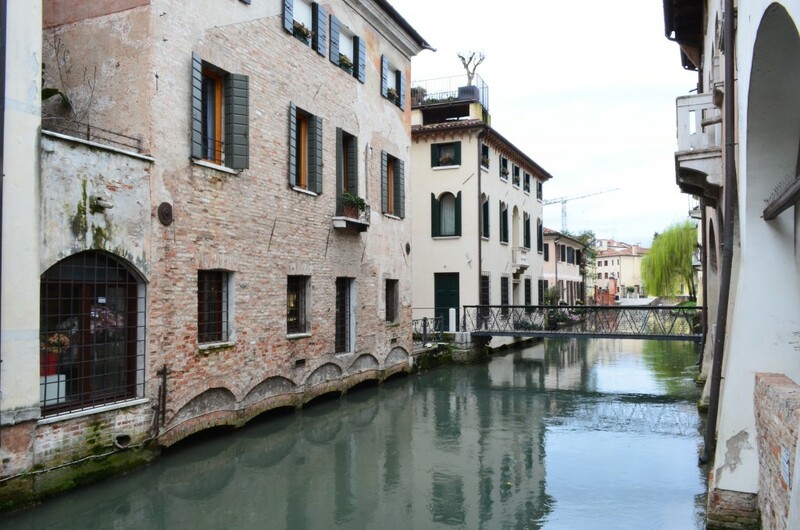 The right side of the canal is lined with restaurants, ice cream shops but as in any other Italian town, most are closed early in the morning and at mid day. This romantic canal is picture perfect even on a cloudy day. 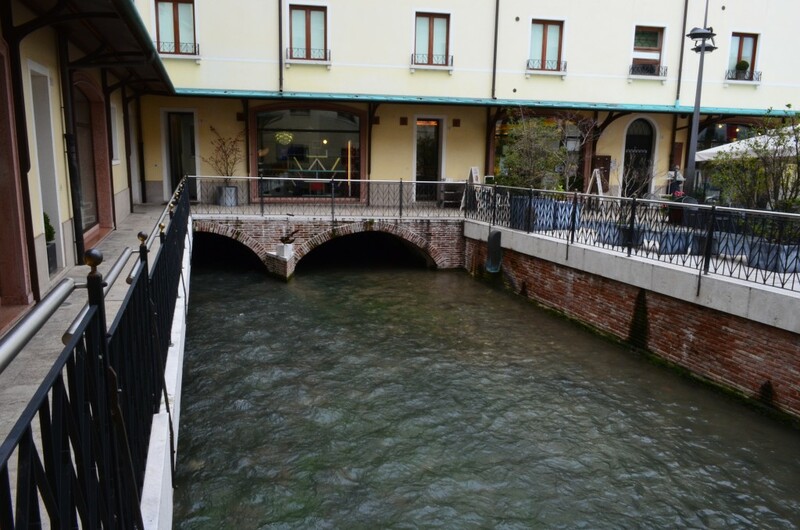 At the end of the canal you can pass into Piazza Rinaldi and cross the river over Via Campana. This metallic art installation is a bit cryptic and we could not find a plaque to explain the message. 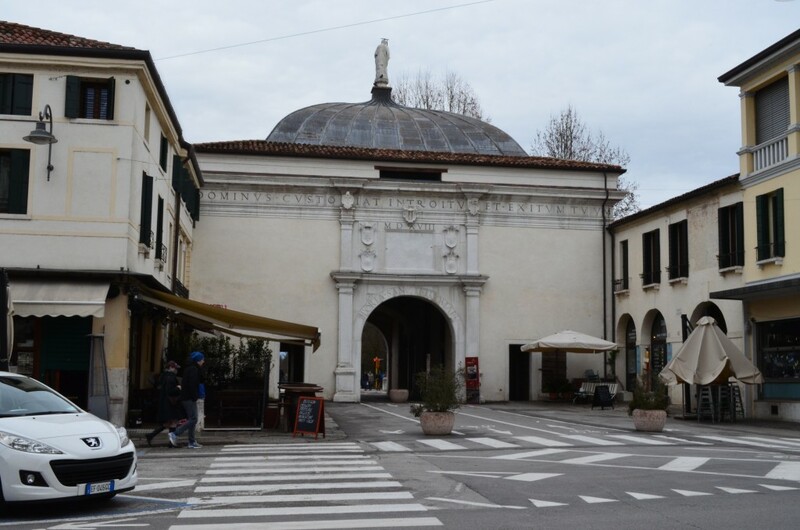 Further north, you can go through one of the one of 3 gates guarding the city since the 15th and 16th century: Porta San Tomaso northwards, Porta Santi Quaranta westwards and Porta Altinia southwards. From the Tomas gate we walked down along the river, aiming to reach Dante’s bridge. We could not restrain from peeking again into the lives of the residents. I am sure they have their own problems but I wouldn’t mind coming home to this front garden everyday. Not long after that we reached Dante’s bridge which stretches over Cagnan river. The bridge is named after Alighieri because this place was mentioned in his work „The paradise”. The bridge used to be called Ponte dell’Impossibile due to the fact that was made of wood and it was often destroyed by the overflowing river. 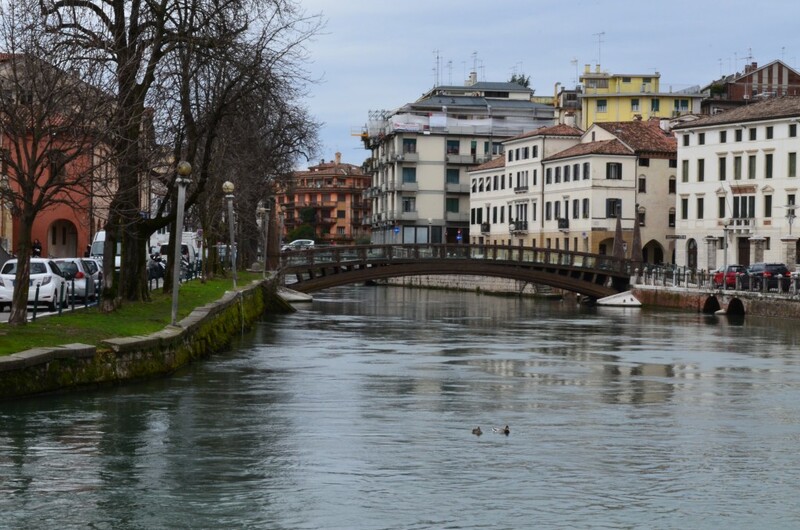 Often called Little Venice, Treviso is filled with bridges of all sorts, old and new and since it has a small city centre, you can wonder around without a map and not get bored. From the wooden bridge above you can make a right and reach the university district, also known as the Latin Quarter. The area is a mixture of canals, public spaces, fountains and terraces. 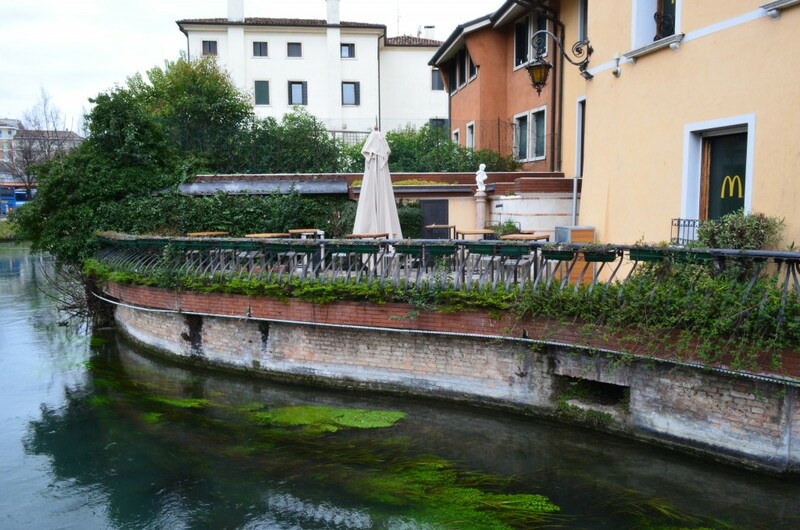 As we headed back to the train station to leave Treviso, we passed this lovely outdoor restaurant and it took us a moment to realise it’s a McDonalds restaurant. Even though the food is the same as everywhere else in the world, I love the way they adapted they rigid aesthetic to fit into this lovely city. 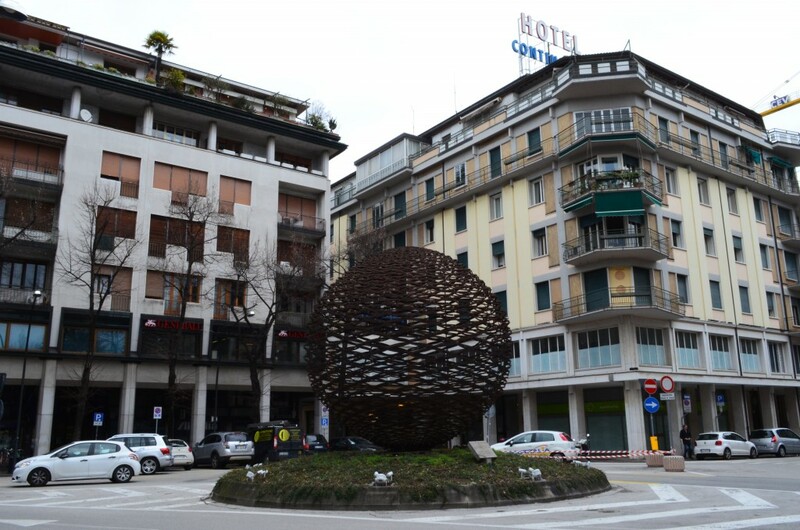 One more monument to admire before reaching the station, a metal sculpture called La Grande Sfera – Large Ball. 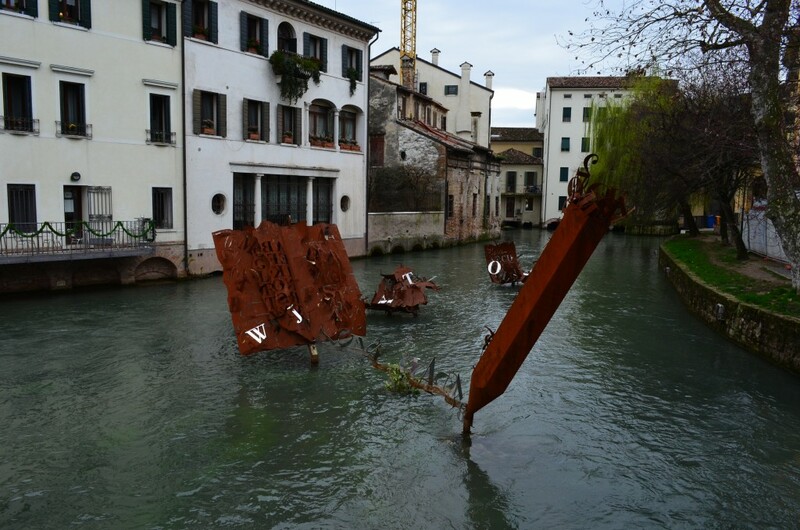 The sculpture is the work of the 20th century Italian sculptor Toni Benetton (no direct connection to the clothes store which has its headquarters in Treviso). Back at the train station we caught a bus straight to Venice Marco Polo Airport for just 12eur each. If you dont have time to stop in Treviso, taking the local bus to the local train station and then another bus to Venice is still cheaper than transferring from Treviso Airport to Marco Polo/Mestre directly.